“Fitness Genes” are a new way to study your body and how you can become in your best physical shape by understanding the genomes that create you. Through genetics testing, you can have your genes analyzed for specifics that describe your genetic profile and can provide clear indicators about which exercises may be more beneficial and possible risks you may experience during fitness or through lack of fitness. 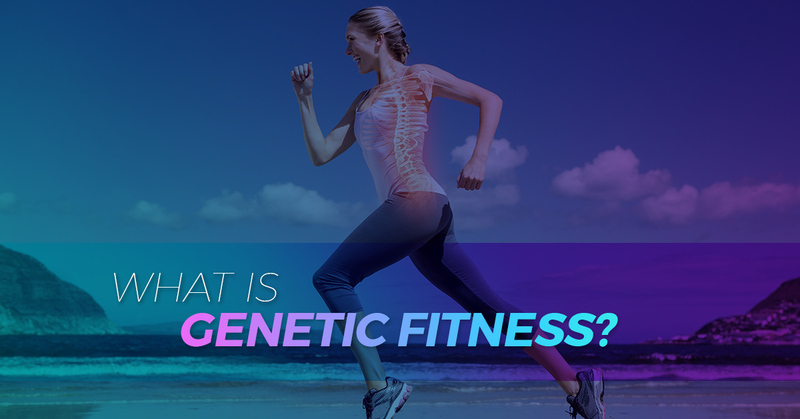 Therefore, genetic fitness is the analysis of certain pairs of genomes that provide answers about what types of fitness and nutrition are best for your health. KlothoGenics can analyze a genetics test to help you build a beneficial fitness plan based on your own genetics. How many times have you tried to start a new workout routine only to sadly realize that it just doesn’t seem like the workout for you? Now, we aren’t talking about not liking the workout because it is physically strenuous and challenging. We’re talking about sticking to a routine as described and still not getting the results you want. Results are what should happen when you follow the instructions, right? While we wish the answer was a simple, “yes”, it’s true that not everyone benefits from the same fitness routines. With genetics fitness, though, you are able to identify exactly what your body needs to succeed. Experts can help you interpret a simple genetics test to pick out patterns in order to build a beneficial fitness plan fit for you. We don’t want you to waste time trying the hundreds of different fitness plans and diets available on the market or on the Web. You can start your journey toward optimal health to get started on the right track as soon as possible. While analyzing genes can help get us started on building a good fitness routine for you, KlothoGenics strives to take it one step further to analyze epigenes. Epigenetic testing takes the analysis of the genes themselves and compares them to your surroundings. Environmental factors, as well as lifestyle and health conditions can help shape your epigenetic profile. It’s more than just understanding what the DNA inside your body says. The goal is to help make that genetic information work into your current lifestyle. Therefore, we analyze the other aforementioned factors in order to see the full picture. This picture allows us to truly create a unique plan that will be easier for you to implement because it already considers miscellaneous variables. KlothoGenics and 23andme.com can help you understand your DNA story. Tests that once started at $100,000 to analyze DNA now cost as little as $199 and can be further interpreted to help build customized plans to suit you on your journey toward optimal health. Say goodbye to those “one-size-fits-all” fitness routines that don’t ever seem to work out as they are advertised. Do what’s best for your body by getting to know it specifically. It’s not worth assuming you know how your body operates. With the science and technology available for you to check it out, it’s worth every penny.